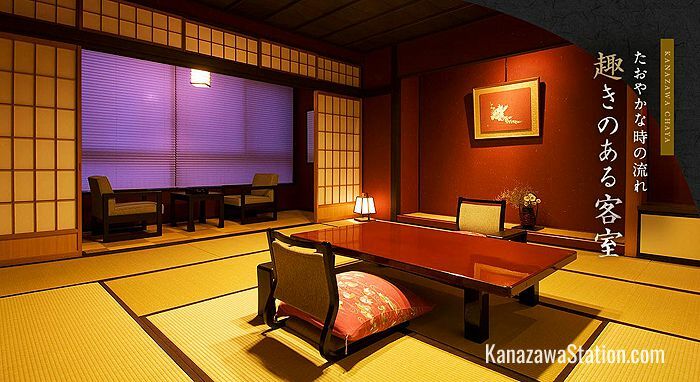 Kanazawa Chaya is a beautifully maintained and stylish ryokan, or Japanese inn, located just 3 minutes from Kanazawa Station. In marked contrast to the high rise buildings in the surrounding area this is a haven of traditional architecture, with a tiled roof, earthern walls, wooden latticework, and interior gardens. 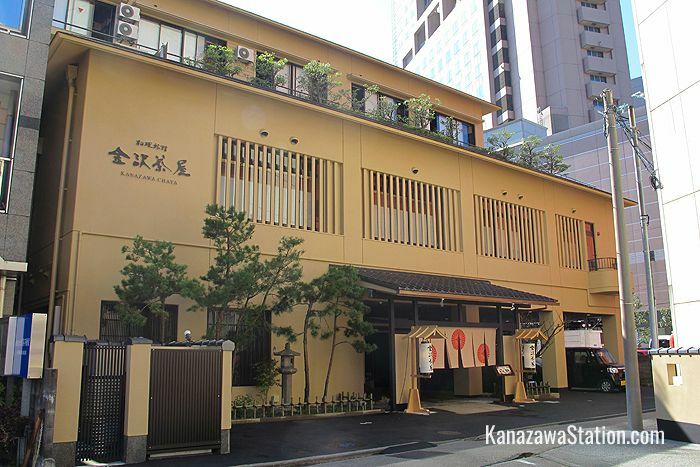 This is one of the more upscale ryokan hotels in Kanazawa with spacious rooms, excellent facilities and impeccable service. It is a good spot to experience old style Japanese hospitality and also very convenient for local transport as the sightseeing buses at the nearby bus terminal can take you to all the major attractions in just 20 minutes. There are 18 guest rooms in Kanazawa Chaya which are furnished in elegant Japanese style with tatami mat floors, paper screens and lattice windows. Futon bedding will be laid out for you in the evening. Free Wi-Fi internet access is available in all rooms. Rooms are supplied with a telephone, a refrigerator, a flat screen TV, an electric kettle and tea set, a safe for your valuables, and a hair dryer. Guests are supplied with the following amenities: a set of towels, yukata style nightwear and slippers, body soap, shampoo and conditioner, a toothbrush and toothpaste, a shaving razor, a shower cap and a comb. After entering your room you will be treated to tea and a snack after which you can change into your yukata which you can wear around the hotel premises. Guest rooms have their own private bath tubs and showers. There are also two public baths in the hotel which are divided by gender. These bathing areas each have a large common use cypress wood bath tub for soaking in and showering facilities. One of these public baths has a garden view so the male and female bathing areas are switched in the evening and morning. The ladies’ bathing area is stocked with Shiseido brand skincare products. 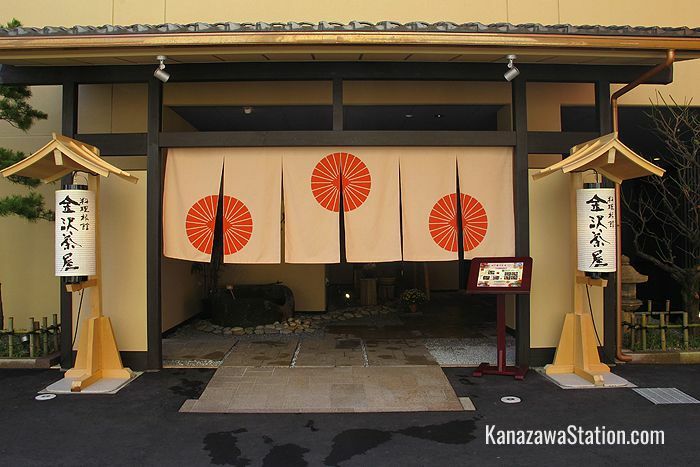 Kanazawa Chaya has its own restaurant which serves multi-course dinners of the local Kaga-ryori cuisine which features lots of fresh seafood and healthy vegetables and all served on elegant kutani-yaki ceramics or Ishikawa laquerware. Breakfast is a lavish and substantial set meal of fish, rice, soup, and multiple colorful side dishes and costs 2,000 yen per person. Breakfast is served between 7.00 – 8.30. Both breakfast and dinner can be included in your booking plan. Some of the ryokan staff speak English and can help you with enquiries about the hotel or about finding your way around Kanazawa. There is a display area on the first floor which exhibits local crafts. There is also a small souvenir shop selling local goods, crafts, and sake rice wine. 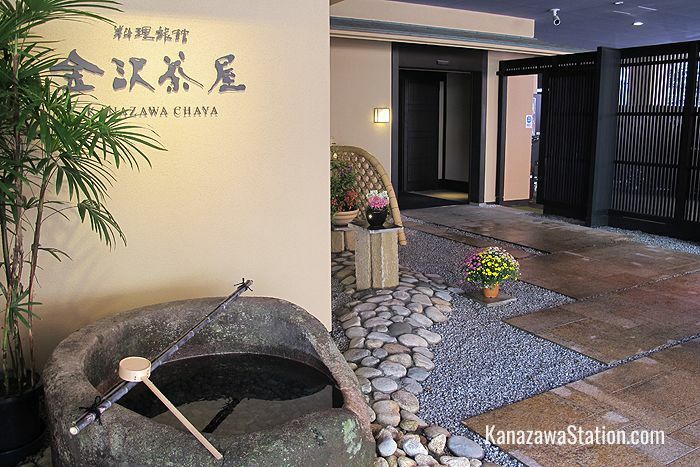 Kanazawa Chaya is a 3 minute walk from the east exit of Kanazawa Station.